These month-in-review posts are a self-indulgent treat for me – I get to sit and navel gaze about my own habits and activities, likes and dislikes, reads and view over the past weeks. I was all set to go about looking at the last 30 days when April showers turned to flood. Throughout the month of October, the HerStories project will be leading a virtual book club about So Glad They Told Me on Facebook. 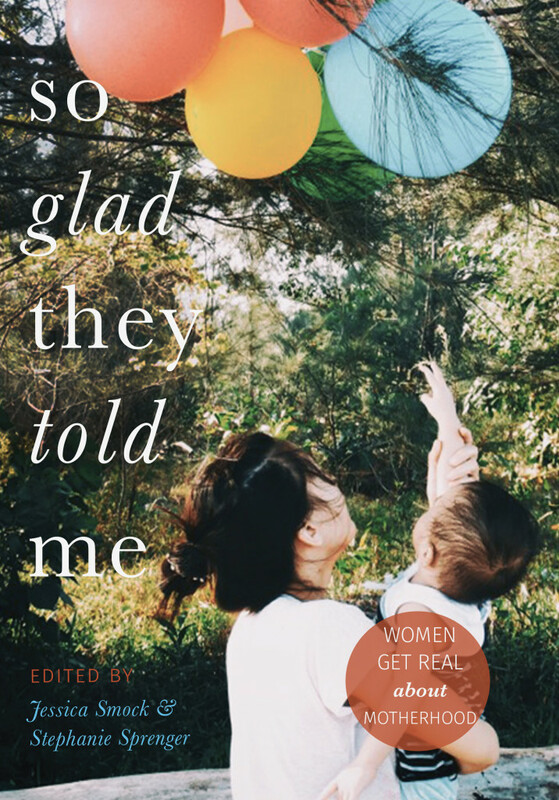 In a world where motherhood is dismissed, mocked, and marginalized, it’s books like So Glad They Told Me: Women Get Real About Motherhood that bring motherhood and the conversations surrounding it to the proper place: A place of compassion, vulnerability, bravery, unmooring, and connection. A lot of my own experiences these past eight years of being a parent have involved wrestling with the sense that perhaps I’m not doing this right, tentatively reaching out to other parents to see what their experiences have been, and wondering if I am alone. This wonderful anthology affirms that indeed, we are not alone in this world of contradictions that is parenting. And I am not alone in writing about my experiences. I have skimmed this amazing book. I am now going back and savoring every last essay. Every single one is brave. Every single one is true. Every single one is a facet of motherhood that deserves to be heard. We are all, whether parenting or writing, exposing ourselves. We’re raw. We’re scared sometimes. But we’re all pushing past that to the joy of connection. My own essay, Flood, took eighteen drafts. Yes. EIGHTEEN. It started as three separate essays, all humorous, none quite right, that eventually needed to be woven together carefully. With each draft, I stripped away the humor and the self-deprecation until I was left with what it was supposed to be: A story of loss, heartache, and renewal. A story of fluidity. It was the hardest thing I’ve ever written, and it is the piece that I will always cherish as a special offspring of mine. It was the one I was most worried about sending out into the world. It was the sensitive one. It was the one I wasn’t sure could handle the pressure. And I should have trusted because it has exceeded my expectations and taking me to places I never thought I could go.